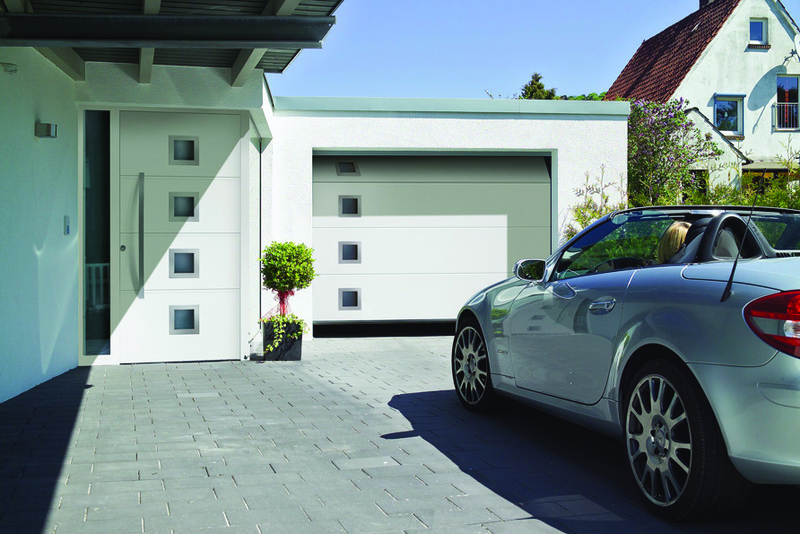 Hörmann UK’s David O’Mara discusses the importance of entrance and garage doors when it comes to enhancing the kerb appeal of your home. Whether you’re building a new home, are renovating and want to smarten up the look of your house, or are planning to put your property on the market, when it comes to improving the appearance of your home it is important to consider how just a few key changes to the exterior could instantly improve the kerb appeal and increase the value of your home by a considerable amount. Sometimes you only get one chance to make a good first impression. However, despite this fact, people are much more likely to focus their time, money and attention on making sure the interior of their homes look the part, before even considering the exterior. Entrance and garage doors are such an integral part of any home, yet they are often overlooked during the design process. Clean windows, tidy lawns, and freshly painted walls are all quick fixes, but to ensure longevity there are several more permanent changes that can be made, and the installation of a new entrance or garage door is one. This may seem like a big investment, but upgrading your current set of external doors, whether it’s just your entrance door or garage door, can have a hugely positive impact on the value and kerb appeal of your home. 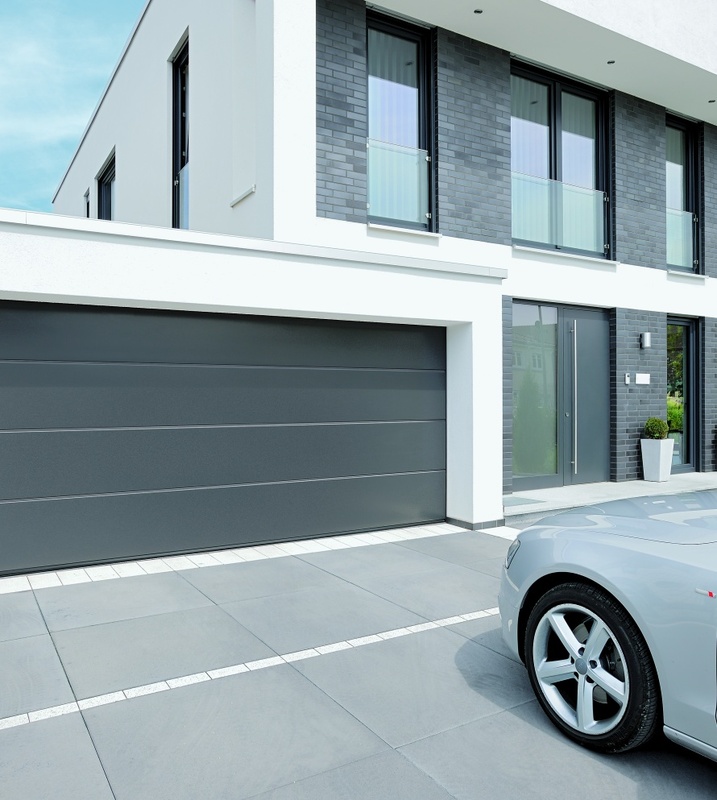 No matter whether your property has a large, medium or minimal approach, making your entrance door a focal point and your garage door a key feature, will always improve your property’s kerb appeal, as well as providing added security and performance to meet the demands of modern life. Many people deem entrance and garage doors as more of an essential part of the home, rather than a stylistic choice. However, by simply taking the time to consider which doors would best suit the style of a property, you can create a more coordinated look and subsequently boost the kerb appeal and value of your home. It may seem obvious, but an old fashioned door or a garage with peeling paint makes any property look tired and will ultimately affect a buyer’s overall opinion. Compare that with a sophisticated entrance or garage door and people visiting will have a positive, lasting memory of your home, especially if the doors are matching. With so many styles and designs to choose from, it can be hard to pick a door that is right for you. One of the main things to consider is the overall style that you are trying to achieve. For example, a traditional, suburban home will suit a different type of entrance or garage door to a country farmhouse, or a coastal getaway. Steel front doors are an ideal option for those looking to create a chic, contemporary feel. They not only provide high levels of thermal efficiency, but also exceptional security features as well. Steel front doors such as Hörmann’s are available in an extensive range of colours and finishes. They can also come with additional options such as including glass panelling in the profile to create a seamless transition between indoor and outdoor spaces, making them a great choice for a modern home. If you’re looking for a garage door, sectional garage doors are an eye-catching alternative to the traditional up and over garage door. 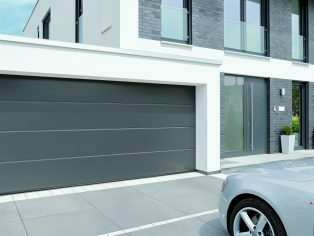 Designed to have the best levels of thermal insulation on the market, sectional garage doors are recommended when the garage and the home are directly connected to save heat from being lost. Opening vertically upwards and suspended under the ceiling, they are ideal if you are looking to save space both inside and in front of the garage. However, if headroom is limited, side-sliding sectional garage doors are available as a good alternative to the traditional upwards opening sectional style.